Design for Architectural, Interiors, Landscape, Signage, Medical Equipment, Chromatic scheme, Tender Documents and Site Supervision. 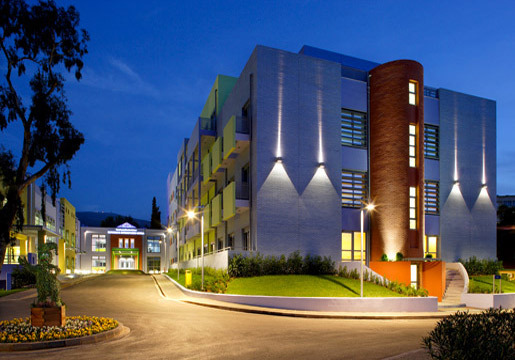 The new Oncology Unit consists of 4 main buildings and a system of walkways that connect it to the main building of the "Saint Sofia" Children's Hospital (600 beds). The total area of the new Unit amounts to 15,000 m2. Above installations have been designed in a preliminary, basic and final stage and the tender documents have been prepared. Also the supervision of the electromechanical works has been accomplished.